(VOVWORLD) - Vietnam is set to achieve higher economic growth and find new growth momentum. The direction was set by the National Steering Committee for Economic Restructuring and Growth Model Reform at a conference in Hanoi on Thursday. The Committee said reforming the growth model and restructuring the economy is a constant process of keeping up with the rapid development of technology. 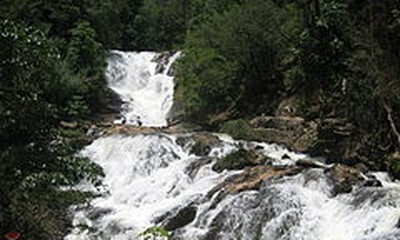 This requires Vietnam to adopt new methods of management and production. Vietnam’s Total Factor Productivity (TFP), a measure of the efficiency of all inputs to a production process, has increased from 40.6% in 2016 to 45% last year. Public debt remained below the safe limit. Restructuring made progress in key sectors like public investment, State-owned enterprises, and credit organizations. But more work remains to be done. Labor productivity has relied more on investment capital than technology and management reform. Laws and policies didn’t do enough to aid economic restructuring and growth model reform. Prime Minister Nguyen Xuan Phuc underlined the need to achieve higher and longer-term growth: “Institutions, policies, and laws should encourage economic restructuring. Good People’s Council resolutions should be adopted at the local level. Laws proposed by the Government and approved by the National Assembly should be implemented at the central level. Free trade agreements Vietnam has signed should be a driving force for international integration." Prime Minister Phuc emphasized the role of science and technology in the context of the 4th Industrial Revolution. He urged sectors to concentrate resources for development centers, business environment improvement, and the fight against corruption, misdemeanors, and interest groups. 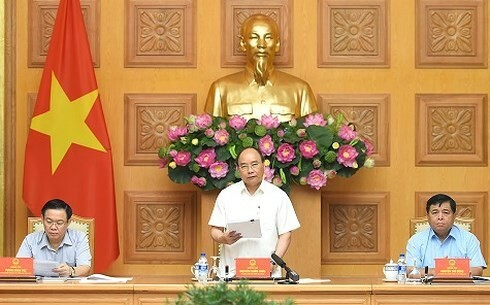 Mr. Phuc called for comprehensive reform of economic governance to build a government of discipline, righteousness, actions, innovation, and effectiveness. Amid global economic uncertainty, Vietnam must continue consolidating its macro-economic foundation, fine-tuning frameworks for economic restructuring and administrative reform, developing the private sector, and forging regional connectivity.